Melton Design Build is pleased to offer free seminars and events to help you learn about remodeling as well as sharing tips and trends for the most important rooms in your home. Join one of our upcoming events to learn about kitchen remodeling, bathroom remodeling, financing your project and more! 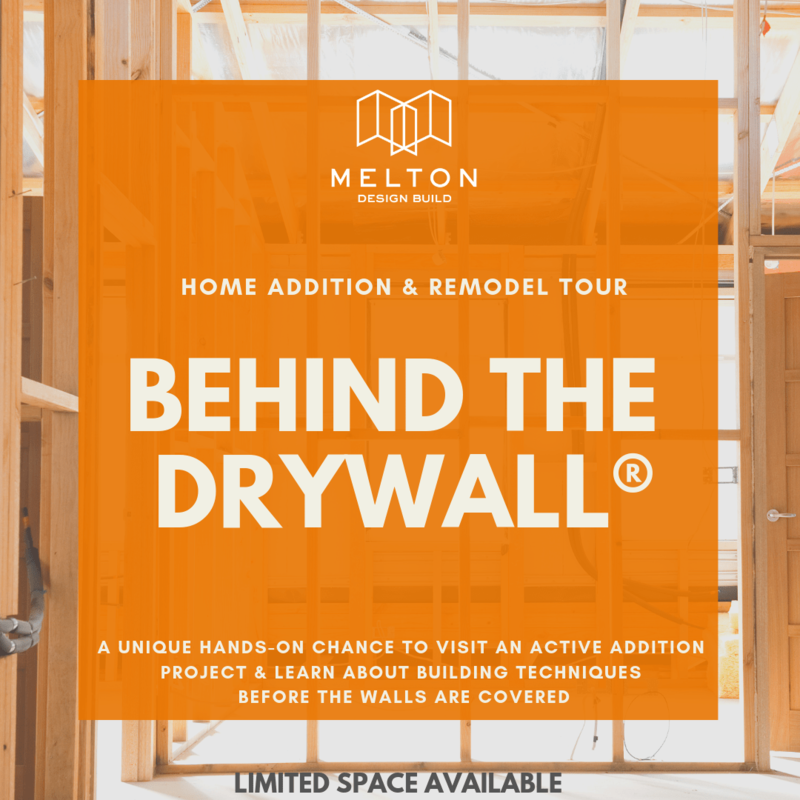 Join us for a Behind the Drywall Tour on Sunday, April 7, 2019, from 10:30 AM – 12:00 PM. This is a unique behind the scenes look at an active home addition project and learn about building techniques before the walls are covered. Click here for more information and to RSVP. Join the Melton team as we partner with Wish for Wheels for fun family-friendly volunteer event on Thursday, May 16, 2019, from 4:30 PM – 6:00 PM. Click here for more information and to RSVP.